International experience is becoming more and more critical for all fields of study, and Economics is no exception. As the world gets more and more globalized, the ability to tackle business and economics issues cross-culturally will continue to become increasingly important. Studying Abroad as a student in the Department of Economics is both possible and encouraged. Many different opportunities exist—two-week Seminars Abroad, Summer Abroad, Internships Abroad, Quarter Abroad, and year-long immersion programs at foreign universities all over the globe. The key is to start early and plan ahead! Financial Aid goes with you and your ECN advisors (along with advisors at Study Abroad) are here to help you make it happen. 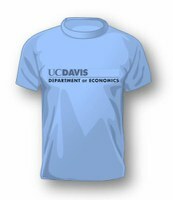 UC Davis Study Abroad maintains a page of recommended programs for students in Economics.